Coercive psychiatry is not intended to cure anything. On the contrary, psychiatry is the science of control and entrapment. Wherever men have advocated and advanced totalitarianism, they have used psychiatric principles to control society, to put limits on individual freedom, to suppress and punish dissent, and to trap people into worsening conditions. Communism, fascism, Nazi national socialism, psychiatry, psychology — alike are all violently opposed to a free society. They advocate that man is a soulless stimulus-response animal who can be manipulated to keep society barely running, and to keep themselves in power. You bet this is a conspiracy. If these groups had any handle at all on how to improve the conditions of life, there would be improvements. But when you put criminals in charge of crime, the crime rate rises. When you put criminals in charge of education, literacy drops. When you put criminals in charge of health care, harmful and addictive drugs become the norm. Society is held together by the heroic efforts of a few, hampered in all directions by institutions dedicated to slowing and stopping freedom and progress — expert witnesses corrupting the judicial system; educational psychologists ruining literacy; atheists attacking religions; racists aborting babies; police deluded into involuntarily committing the most vulnerable citizens; dumping hallucinogenic drugs on children. You’ve seen it; but if you speak out against it you’re called a crazy conspiracy theorist. The basic idea of weakening or corrupting a population has been used for thousands of years. The development of the atomic bomb made direct confrontation by war too dangerous, so the techniques of cultural destruction were welcomed by those wanting to be in control. The standard cultural institutions that used to uphold civilization (such as education, religion, the arts, health care, civil rights, police and justice, the military, and politics) have been infiltrated and discredited by psychiatrists, psychologists and their front organizations and special interest groups, to the end of perverting freedom and keeping people trapped in a downward spiral of worsening conditions. There are two ways of trapping someone — one is with physical universe barriers; the other is with fixed ideas. Fixation occurs only in the presence of one-way communication. If one is not allowed to communicate, one becomes trapped. The incessant pounding of psychobabble from all of these psychiatrically-compromised social institutions wears one down. The antidote is to talk back. If you see an injustice, make a complaint. If we ask you to write your legislators, please do so. Talk to your government and political representatives, your church groups, your parent-teacher organizations, your networking groups, your hairdresser, your business associates, your peers, your family and friends. Show them the CCHR documentary DVDs (let us know and we’ll send you one.) Forward this newsletter and suggest they subscribe. Find Out! Fight Back! Let us know what you have done. The Ninety-Ninth General Assembly, Second Regular Session, convened on Wednesday, January 3, 2018, and will end on Friday, May 18, 2018. These are bills that further psychiatric abuses of human rights, and are moving swiftly toward becoming law. Please express your opposition and opinions about these to your legislators and copy the sponsors. 1) SB661 – Senate Bill 661 – sponsored by Senator Jeanie Riddle (Republican, District 10; Audrain, Callaway, Lincoln, Monroe, Montgomery, & Warren counties). Related to HB1970. 2) SB846 – Senate Bill 846 – sponsored by Senator Jill Schupp (Democrat, District 24; St. Louis County). Related to HB1419. Requires two hours of suicide assessment and prevention training for licensure as a psychologist. Behavior analysts, professional counselors, social workers, baccalaureate social workers, and marital and family therapists must complete two hours of suicide assessment, referral, treatment, and management training as a condition of initial licensure and as a condition of license renewal. While this sounds altruistic, the current state of so-called “suicide prevention education” is a recommendation for harmful and addictive psychiatric drugs, which are known to cause the very thing they are supposed to prevent, which is violence and suicide. 3) HB1363 – House Bill 1363 – sponsored by Representative Bill Kidd (Republican, District 20; Jackson County). 4) HB1419 – House Bill 1419 – sponsored by Representative Marsha Haefner (Republican, District 95; St. Louis County). Related to SB846. 5) HB1658 – House Bill 1658 – sponsored by Representative Chuck Basye (Republican, District 47; Boone, Randolph, Howard, & Cooper counties). This bill prohibits any third-party payer for health care services from limiting coverage or denying reimbursement for treatment for emotional, mental, or behavioral symptoms for children with physical or developmental disabilities. This is another attempt to enforce “Mental Health Care Parity“. Parity is the concept that insurance reimbursements for mental health care must be equal to that for purely medical issues. Mental health parity amounts to a blank check for a mental health industry that cannot police itself, frequently abuses patients and rips off the health care system. Due to mandated mental health insurance parity there is more widespread patient abuse and fraud, as well as increasing insurance premiums and number of uninsured. 6) HB2384 – House Bill 2384 – sponsored by Representative Jay Barnes (Republican, District 60; Cole County). Related to SB1098. This bill is basically another attempt to expand mental health care parity. See the discussion under HB1658. 7) The following bills refer to something called “Trauma-Informed Care”. Stay tuned for our Big Muddy River Newsletter on April 9th for more about this concept. Think “PTSD on steroids.” It’s really just re-defining words to create a new class of patients who are ripe for psychiatric fraud and abuse. SB1004 – Senate Bill 1004 – sponsored by Senator Jill Schupp (Democrat, District 24; St. Louis County). Creates a “Trauma-Informed Care for Children and Families” Board; a public-private partnership to promote using this style of treatment for children and families. SCR47 – Senate Concurrent Resolution 47 – sponsored by Senator Jill Schupp (Democrat, District 24; St. Louis County). Establishes the Task Force on Trauma-Informed Care for Veterans. We’d like you to write your legislators about the bill discussed below. Please write from your viewpoint as an individual or professional, and not as a representative of any organization. Let us know the details and any responses you get. The full text of this bill can be found here. This bill supports human rights, particularly those of children. Please express your support and opinion about this to your Missouri State Representative. 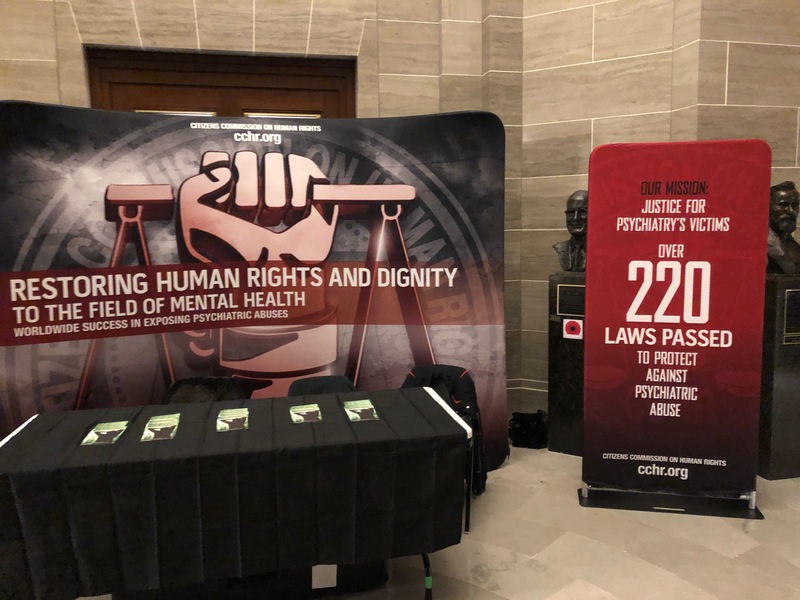 HB1451 – House Bill 1451 – sponsored by Representative Karla May (Democrat, District 84, St. Louis City). This bill prohibits the use of electroconvulsive therapy (ECT) on children under 16 years of age. Any person or mental health facility that administers electroconvulsive therapy to someone under 16 years of age will be fined up to $100,000 or imprisoned for two years, or both, and will be liable for compensation to the person that was given the electroconvulsive therapy. What can we say? You are being hoodwinked by a small group of psychiatric industry special interests who claim that electroshock is good for you. About time to get this one passed! Write your legislators now! Stick your finger in an electric socket if you think ECT is good for anyone! In fact, we just heard about a case in Missouri where a 5-year-old child was given electroshock. This is unconscionable, and a no-brainer to pass into law. When we speak with people about electroshock, the typical response is, “We didn’t know that was still being done.” In fact, ECT is a huge money-maker for psychiatry in Missouri, because the damage it does to the brain makes a patient for life. Barbaric practices like shock treatment need to be eradicated. Despite modern ECT being promoted as “new and improved,” there is much evidence that contradicts this claim. California, Colorado, Tennessee and Texas have already banned the use of ECT on those aged 0-12 and 0-16. The Western Australian government banned the use of ECT on those younger than 14, with criminal penalties if this is violated. ECT should never be used on children. In light of the fact that the FDA admits ECT can cause cardiovascular complications, memory loss, cognitive impairment, brain damage and death and that psychiatrists admit they do not know how ECT “works,” we call upon the Missouri legislature to pass HB1451 into law this session. This time, we’d like to discuss Senate Bill SB221, “Authorizes legal counsel for the Department of Mental Health to have standing in certain hearings involving a person unable to stand trial due to lack of mental fitness”, sponsored by Senator Jeanie Riddle (R, District 10). First off, we’d like to say that Involuntary Commitment (also called civil commitment) is a crack in the door of constitutional freedoms, and should be abolished. Here (in italics) is the main requested change in the law: “If the court determines that the accused lacks mental fitness to proceed, the criminal proceedings shall be suspended and the court shall commit him or her to the director of the department of mental health. After the person has been committed, legal counsel for the department of mental health shall have standing to file motions and participate in hearings on the issue of involuntary medications. In other words, once the person becomes an involuntary ward of the state in a psychiatric facility, then the Department of Mental Health can force the person to be placed on psychiatric drugs by petitioning the court. When any psychiatric facility has full legal power to cause your involuntary physical detention by force (kidnapping), drug you senseless, subject you to physical pain and mental stress (torture), leave you permanently mentally damaged (cruel and unusual punishment), with or without proving to your peers that you are a danger to yourself or have committed a crime (due process of law, trial by jury) then, by definition, a totalitarian state exists. Involuntary commitment laws hike federal, state, county, city and private health care costs under the strange circumstance of a patient–recipient who cannot say no. And we have not even mentioned yet that the involuntary psychiatric drugs that this proposed change in the law sanctions are harmful and addictive, and are known to cause violence and suicide. The person who pleads NGRI to a crime needs effective justice and rehabilitation, not psychiatric drugs. Contact your Missouri state Representative and Senator, and let them know what you think about this.